Voice recognition software company Nuance Communications on Wednesday acquired voice-to-text services company Spinvox for $102.5 million. Spinvox, which is based in Marlow, U.K., provides technology that converts voice messages to text, which can then be sent as e-mail messages or posted on blogs or social networking sites. Nuance will implement Spinvox's technology into its speech recognition platform, Nuance said in a statement. Nuance is best known for the popular Dragon NaturallySpeaking software, which allows users to create documents or e-mail messages through dictation. But the company also provides technology to convert voice messages to text, which can then be sent to users as SMS or e-mail messages. Nuance's voice-to-text customers include AT&T, and the company earlier this year expanded its mobile product portfolio by acquiring companies including Jott and Zi. The acquisition of Spinvox will help Nuance voice-to-text services reach a larger customer base worldwide and support more languages, Nuance said. The combined company will support voice-to-text services in languages including English, Spanish, German, Italian, French, and Portuguese. The deal won't affect current Spinvox customers, Spinvox said in blog post. 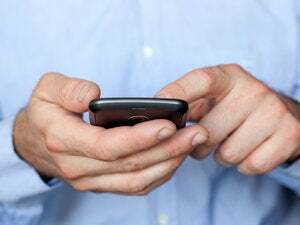 "Spinvox voice-to-text services will remain unchanged -- you can continue enjoying the benefits of reading your voicemails as text or speaking your voice-to-text SMS messages, e-mails, blog posts or social network updates anywhere you happen to be," SpinVox wrote in the post. SpinVox's current customers include telecommunication carriers worldwide. The $102.5 million deal will comprise of $66 million in cash and $36.5 million in Nuance common stock.